APB Reports enables your business to make sense of your data. Our goal is to provide the best reporting & dashboard solutions with the greatest service possible. CR Dispatch enables you to view Crystal Reports as quickly and simply as possible. 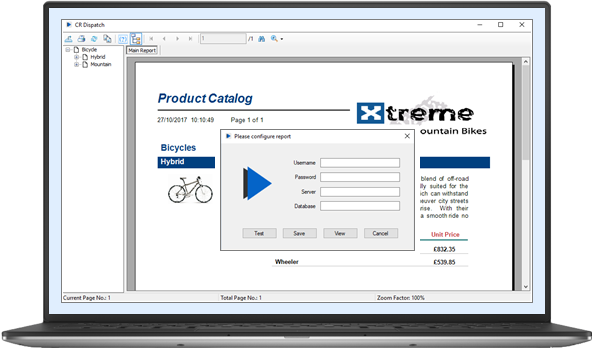 Our goal was to develop a “basic” Crystal Reports viewer that would enable you to view a report, securely, with only one click of a button. We like to think of CR Dispatch as a Crystal Reports shortcut. 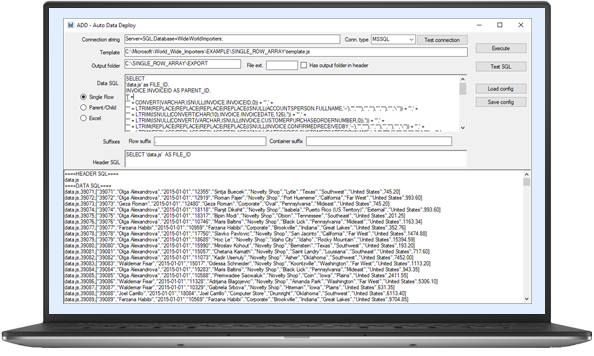 ADD is a flexible .NET application that enables you to update existing HTML, XML & Text templates with data from MSSQL & Oracle databases quickly and automatically. ADD can be used to populate text files with data from your database and was designed to generate static Web dashboards and xml files. ADD also supports dynamic single-pass bursting. Bursting enables you to automatically create separate HTML pages based on a subset of your data. For example you may need to create separate files per region, department, customer or ID.